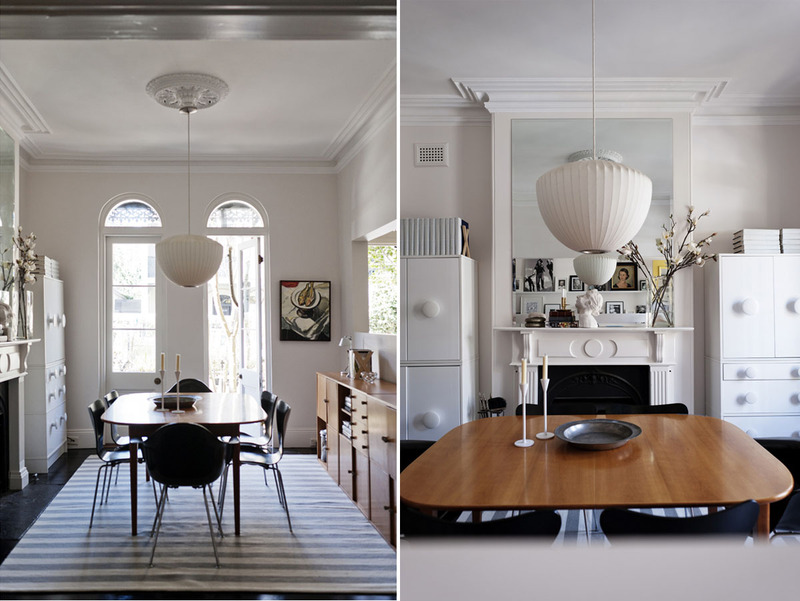 I love this interior by Australia based, Scandinavian designer, Anna Carin. 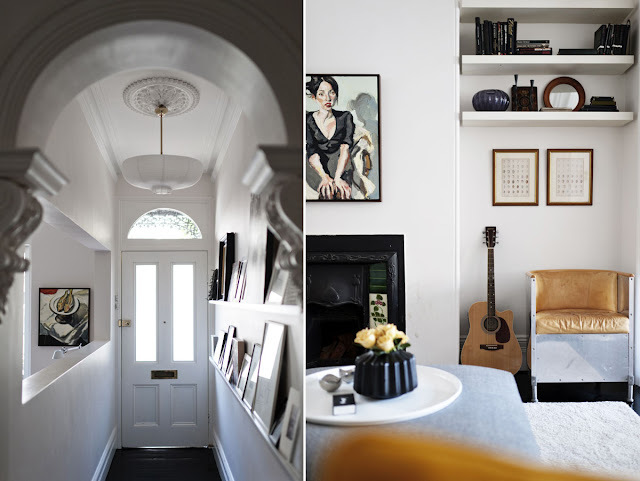 It's a good one to add to the inspiration bank for that terraced house renovation project I'll find one day. There are some great tips here for getting the most out of a narrow space. The opening at eye level between the entrance hall and the dining space borrows light and extends the view across the limited width of the house. 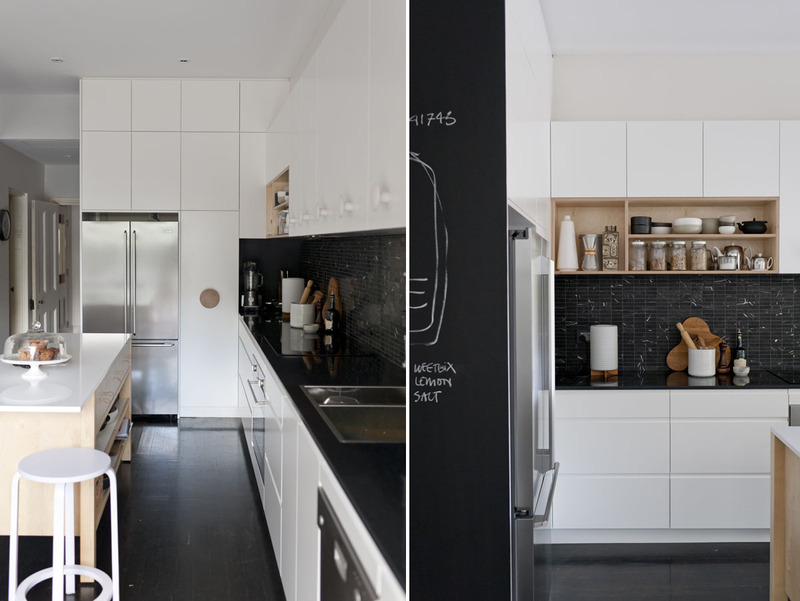 The kitchen is my favourite space; one elevation is made up of horizontal lines creating an illusion of a longer space. The other, shorter, elevation has tall, narrow units to contrast and maximise storage space. All in all, a very clever and beautiful space. 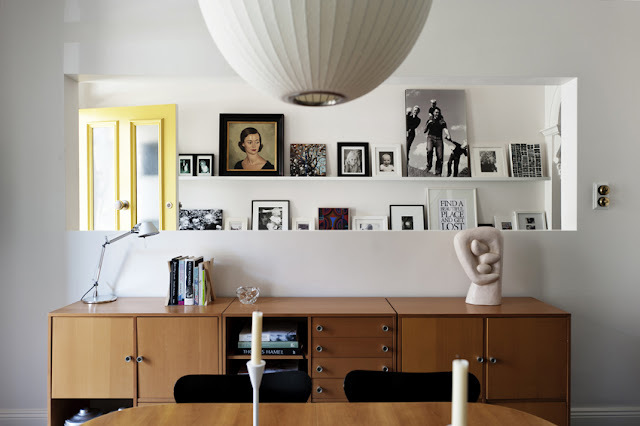 Images from Anna Carin via Yellowtrace's pinterest board.